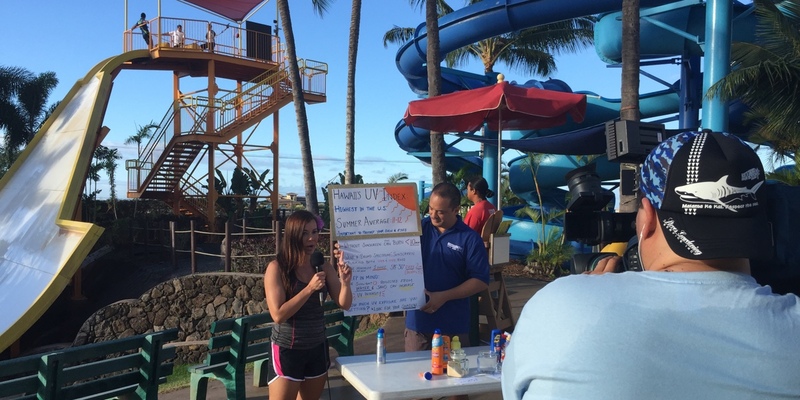 Instead of our usual Wednesday morning visit to the Hawaii News Now studio, Burt and I joined the Sunrise morning crew today at their “On the Road” remote at Wet N’ Wild Hawaii. The theme of the day was summer fun, with segments on barbecues, sunscreen, and drones (which was summer plus Father’s Day, I guess), as well as a promotional showcase for the waterpark. For the “Geek Beat,” we covered outdoor smartphone accessories, as well as the jellyfish sting cream I blogged about on Wednesday. First up, waterproof iPhone cases. Burt started us off with his home-made solution: a Ziploc bag. Then, backed up by an underwater iPhone case shootout video by the great Molly Wood, we talked about more specialized solutions. Surfers and watersport aficionados often use simple and affordable waterproof pouches like the JOTO Universal Waterproof Case Bag. It keeps your smartphone safe and dry around your neck while you enjoy the pool or beach. But if you want to use your phone in the water, such as to take photos or video underwater, more specialized cases are called for. The waterproof and rugged Lifeproof case is the best known, though high-end cases can run from $100 to $300. Next, we talked about solar chargers for smartphones. I carry the locally made Storm Solar module from Greenpath Technologies, but there are even more compact solutions out there to charge your devices with the sun. 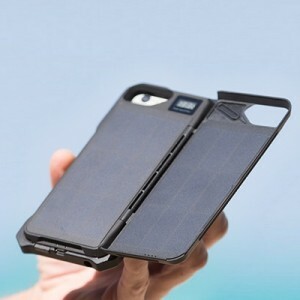 You can also get smartphone cases with a built-in solar panel. While there are a few on the market, I talked about the Sunny Case, which is being launched by local entrepreneurs. Coming from the same people who put out three generations of smartphone charging cables, the Sunny Case will be moving from Indiegogo to Kickstarter in the next few weeks. Finally, we talked about Sting No More, the scientifically proven way to get quick relief from jellyfish stings. You can read my recent blog post for all the details. I was able to meet up with Angel Yanagihara yesterday to buy some Sting No More in person, making me her first official completed public sale. It was a big milestone, after seven years of research, product development, and wrestling with intellectual property and patent issues. As a result, I was able to have some Sting No More to show on the air (although there were no jellyfish at Wet ‘N’ Wild Hawaii to test it with). It was a fun way to start an Aloha Friday. And yes, both Burt and I independently decided to wear our Hawaii Geek Meet T-shirts. The 8th annual Geek Meet is coming July 12. See you there!